For additional information about this book, visit the website backwoodsauthor.com. Long: The Indians and the Crackedskulls are locked in the turmoil of a war that has raged for centuries, and it is presently in a stalemate. Her enemies, Raven and Bloodhawk, have come up with a scheme to take her down, but in doing so they inadvertently open the door to another universe and to an otherwordly evil. 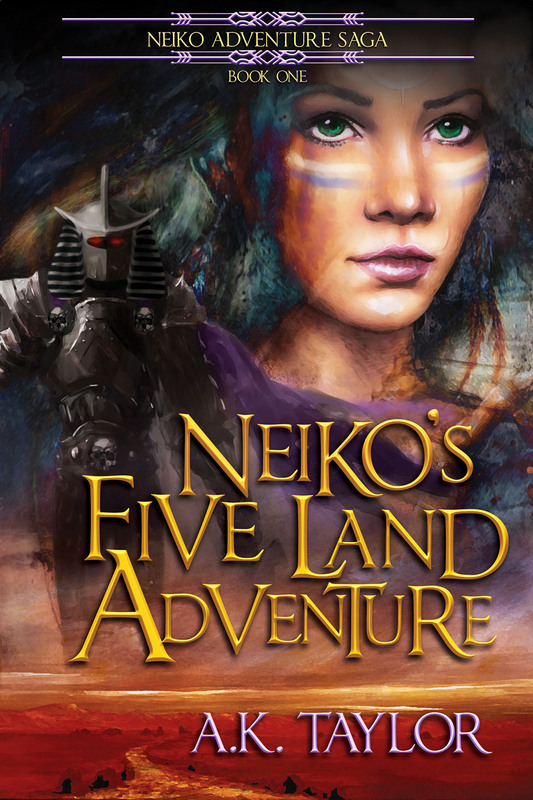 Neiko later finds out that a land she thought she had only imagined is actually real and the dark being is not a figment of her childhood imagination–he is terrifyingly real and she faces him for the first time. To make matters worse, it is now in her world and he has evil plans especially for her. After several standoffs with the malevolent Ramses the Dark Pharaoh in Hawote, she is trapped in Qari by his strange and powerful magic. Trapped in another universe in a place that is not exactly the way she imagined it, and she must somehow find a way to teleport home. That is easier said than done; the odds are overwhelmingly against her and her scorpion-cobra companion as they must travel to find the answer and help but at the same time avoid Ramses’ allies, traps, and tricks. Can she come back home and turn the tables on her enemies? A.K. Taylor grew up in the backwoods of Georgia where she learned about nature. She enjoys hunting and fishing, beekeeping, gardening, archery, shooting, hiking, and has various collections. She also has interest in music, Native American history and heritage, Egyptian history, and the natural sciences. A.K. Taylor has been writing novels and drawing since the age of 16. A.K. Taylor has graduated from the University of Georgia with a biology degree, and she shares an interest in herpetology with her husband.